The Norwegian Biosimilar Phenomenon: From Biosimilar To "Biogeneric"
Europe saw the approval of Omnitrope, its first biosimilar, in 2006. Shortly thereafter was the rise of what Madsen referred to as the “biosimilar resistance.” EU countries — much like the U.S. today — encountered numerous claims that biosimilars were inferior products and, therefore, that switching should not be permitted. Though biosimilars are becoming important treatment options in the EU and U.S., these arguments still persist in many markets. Indeed, after two years, the biosimilar infliximab (Remsima) has garnered 92.9 percent of the market share in Norway (as of April 2016). In Denmark, biosimilar infliximab has captured 96 percent of the market share, and Finland, 88 percent. In each of these countries, switching was recommended by rheumatologists, hospitals, and/or regulatory agencies. Financial incentives to switch were strong in each country, and hospital leaders often pushed for the wider use of biosimilars. However, Sweden has not been a biosimilar success story. While there are counties in Sweden that do encourage switching, many in the country remain “confused” on the topic. And the country’s drug authority has publicly opposed switching. As such, biosimilars in Sweden only hold 33.5 percent of the market. How Did Norway Achieve High Biosimilar Market Share? 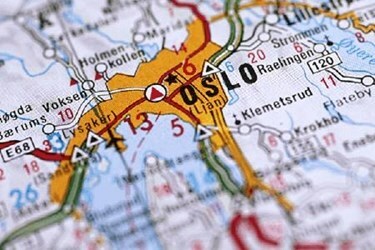 When Norway launched epoetin biosimilars, they were covered by general reimbursement. This meant when a physician prescribed a drug, the patient would simply go to the pharmacy and receive the treatment. “The doctors and patients didn’t see the bill for the medicine because we have a public healthcare system in Norway, so prices are not of concern,” said Madsen. Because of this, there was little switching in the country and biosimilar uptake was low. Norway has 19 counties, each of which has a central hospital. One month following the switch to the hospital tender, Benapali (etanercept) held 65 percent market share in two of the 19 counties. The key to uptake in these particular counties, Madsen asserted, was the use of electronic prescriptions. Any time a drug is prescribed, it is cached and remains in a prescription bank until the patient collects their prescription. Because it is an electronic system, doctors are also able to recall prescriptions. And this is what a doctor at one of these hospitals did. “He found all patients taking etanercept, wrote a letter to notify them all their prescription would be changing, recalled the electronic prescriptions, and made new ones for the biosimilar,” explained Madsen. The process took 10 hours to complete and will save the country 25 million Norwegian krone, or roughly $3 million. As of April 2016, biosimilar use in these two counties had broached 80 percent. As of May, Norway had seen the etanercept biosimilar garner 40 percent of overall market share, which Madsen has predicted will be upward of 80 percent in the country within a year. Switching: Is It A Fantasy? What is rarely acknowledged in the biologics space is that brand treatments, like biosimilars, also differ slightly from lot to lot. As Madsen stated, “All biologics are biosimilars” — this being a “secret” published in an industry journal a few years ago. But while many speak out against making the switch from the reference drug to a biosimilar, these concerns do not often transfer to situations where patients are switched from the biosimilar back to the originator. For example, Madsen discussed the uptake of human growth hormone (HGH) in Denmark. The company manufacturing the brand HGH was Novo Nordisk. This company held the market share for the biologic until 2010, when Sandoz’s bid for its Omnitrope biosimilar was selected for the hospital tender. Over the course of two years, 50 percent of patients taking Novo Nordisk’s HGH were switched to Sandoz’s biosimilar. However, Novo Nordisk reclaimed the tender in 2013, resulting in patients being switched back from the biosimilar to the originator. Finally, armed with a whopping 83 percent discount, Sandoz won the tender once more in 2014, resulting in a market in which HGH is “almost free,” Madsen explained. (And it only took an eye-brow-raising three months for the biosimilar to take the majority market share once more.) But interestingly, despite the amount of concern about switching from biologics to the biosimilar, Madsen said there were never any concerns expressed about switching patients from the biosimilar to the originator when Novo Nordisk took back the tender in 2013. As such, arguments about the dangers of switching to biosimilars seem to be just another defense strategy, or fantasy, intended to slow biosimilar uptake.